Excellent choice for anybody looking to consult a cardiologist. Dr. Skolnick takes his time with you. Down to earth Guy and friendly. Talk about sports and family. The 23 year old Assistant is also a great andefficient guy. Don't know his name. Down to earth Guy and friendly. Talk about sports and family. The 23 year old Assistant is also a great and efficient guy. Don't know his name. Effective, July 15, 2016 patients will be charged a "No Show" fee for appointments not canceled in a timely manner. If you cannot confirm this appointment, please contact the office immediately. 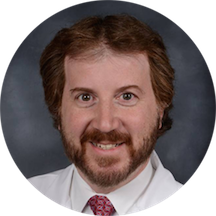 Bruce Skolnick, MD, is a cardiologist who attended the University of Medicine and Dentistry of New Jersey, where he received his medical degree. He completed his residency at Thomas Jefferson University Hospital. He continued his training by completing a fellowship in cardiovascular diseases at Allegheny General Hospital. Bruce Skolnick, MD, is board certified in cardiovascular disease and interventional cardiology by the American Board of Internal Medicine. He is a physician at Valley Medical Group, affiliated with The Valley Hospital in Ridgewood, NJ. He sees patients for cardiology consultations, as well as other common and specialized reasons but does not treat patients under the age of 16.